MARQUETTE, MI – Jacob W. “Jake” Johnson, 18, of Marquette, died Sunday, January 27, 2019 at McLaren Northern Michigan Hospital in Petoskey from injuries sustained in an automobile accident in St. Ignace. Jake was born on December 4, 2000 in Marquette, a son of Carl Johnson III and Marcia Ann Lancour. He was attending Marquette Alternative High School at the time of his death and was employed at McDonald’s as a cook. Jake’s entire life was involved with his love of hockey, which he began playing at the age of 7. 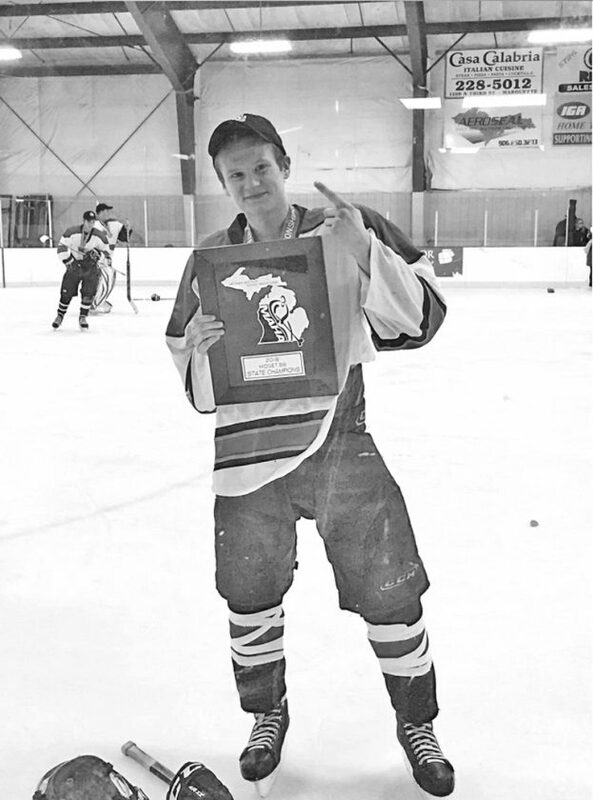 Most recently he played for the Negaunee Iron Range U18 team and was on his way with fellow teammates to a game in Lower Michigan when the accident occurred. When Jake wasn’t playing hockey, he enjoyed fishing and hanging out with his brothers and extended family members. Jake is survived by his father, Carl Johnson III of Marquette and his mother, Marcia Johnson of Marquette; one brother, Kyle Johnson of Marquette; a sister, Hailey Lancour of Negaunee; step-mother, Kourtney Johnson of Marquette; his paternal grandmother, Amy Dupie of Ontonagon, paternal grandfather, Carl Johnson, Jr. of Marquette; maternal grandmother, Theresa Lancour of Gwinn and maternal grandfather, Gerald Lancour, Sr. of Ishpeming; uncles, Christopher (Ashley) Lancour of Humboldt and Gerald Lancour, Jr. of Iron Mountain; two aunts, Joni Johnson of Manitowoc, WI and Katie Johnson of Marquette; maternal great grandmother, Margaret Smith of Marquette; paternal great grandmother, Lois Dupie of Ontonagon; also surviving are cousins, Lillian Lancour, Alex Lancour and Weston Lancour, and Lucas Johnson as well as numerous other aunts, uncles and cousins. Jake was preceded in death by two uncles, Will “Willy” Johnson and Scott Haanpaa. A celebration of Jake and his uncle, “Willy’s” life will take place on Friday, February 8th from 2 to 4 p.m. at Lakeview Arena with and food and fellowship to follow. A benefit hockey game will take place at 7 p.m. in Lakeview Arena between the Marquette Mutineers and the Calumet Wolverines. The Canale-Tonella Funeral Home is assisting the Johnson family where memories may be shared at canalefuneral.com.